There was quite a bit of talk in climate skeptic circles over the northern winter about arctic ice forming over a larger area than in previous years (though scientists cautioned they were on thin ice, so to speak, as the new stuff wasn't equivalent to the older, thicker ice pack). 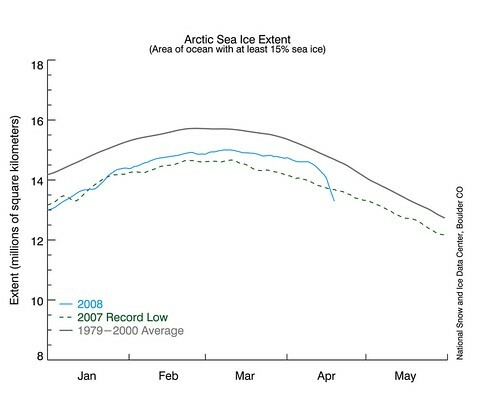 Judging by the data appearing at the US National Snow and Ice Data Centre in recent weeks, this thin cover has rapidly melted and disappeared, with arctic sea ice extent now lower than the same period in 2007 (which was the previous record low). 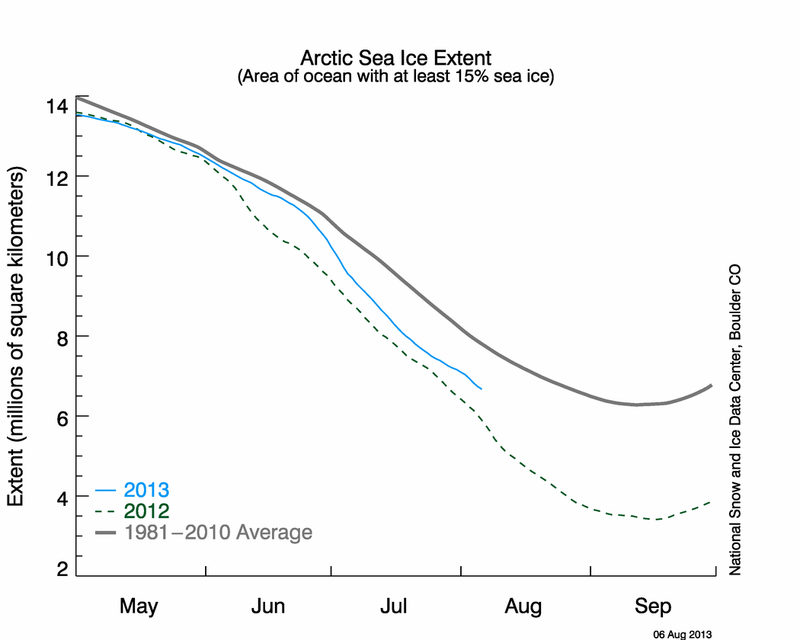 Anyone care to hazard a bet as to which year we will see the complete summer disappearance of arctic ice for the first time ? I've already seen one prediction of 2011. WTF - the graph has changed and the sharp dip has disappeared !